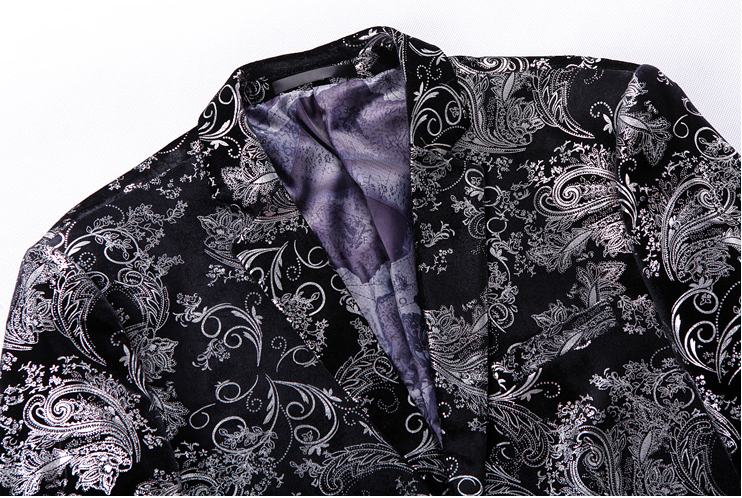 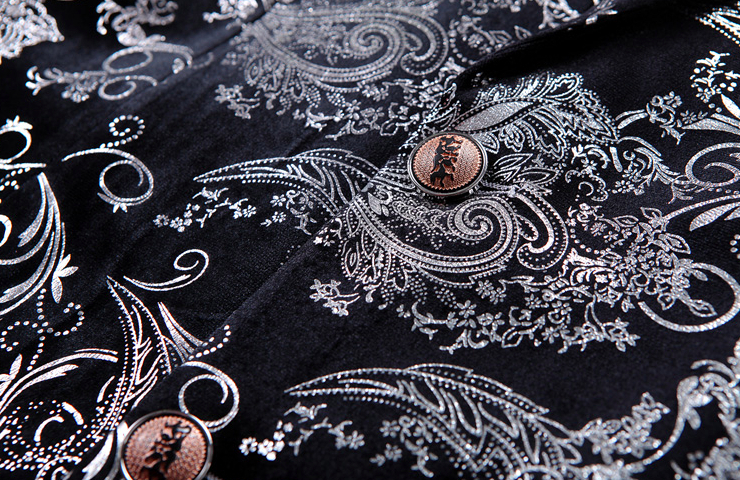 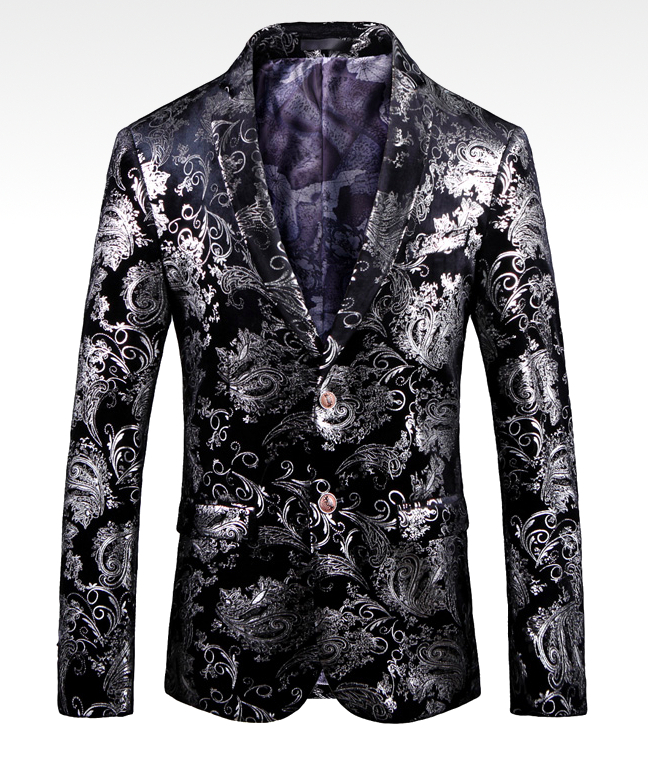 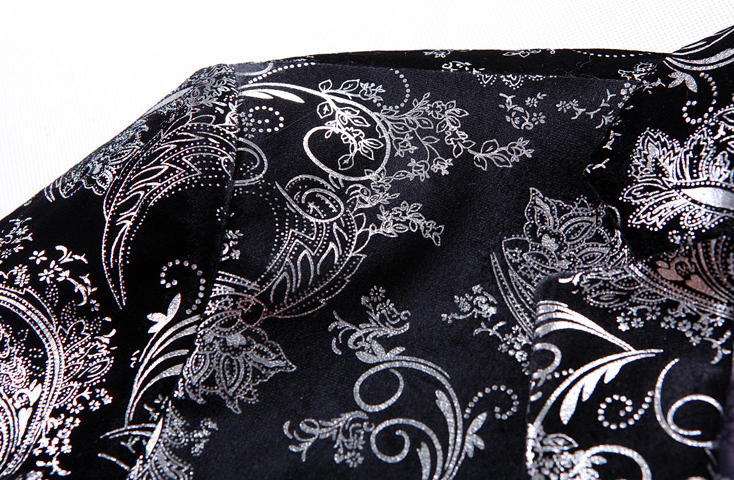 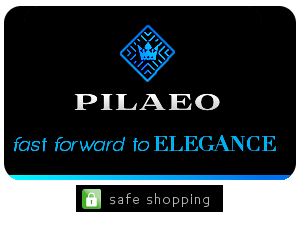 In this high-end damask patterned blazer with silver shimmering printing, you'll be an absolute lead roof mens style. 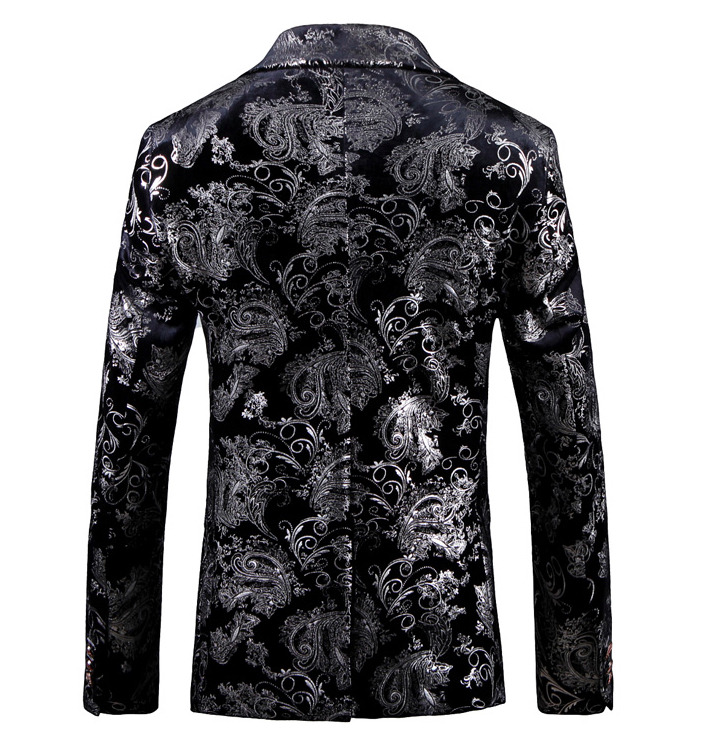 You'll look truly stunning in this upscale blazer with it's silver shimmering design of silver against a black velvet professionally tailored jacket. 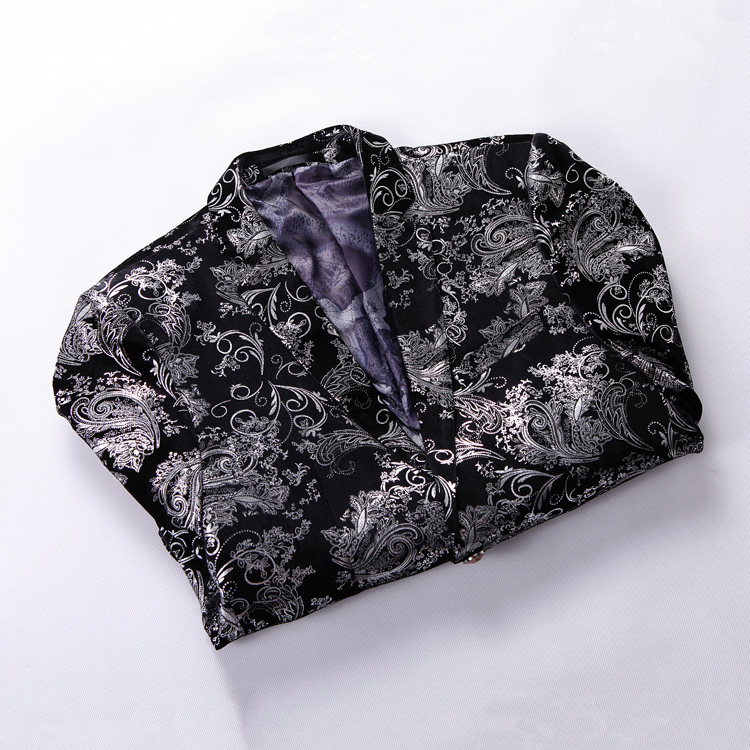 Wear this with dress shoes or even white sneakers for a look that's modern, and sure to make you the most fashionable gentleman in the room.